D.J. Cotrona Online is celebrating its second year anniversary online today. I can’t believe it’s already been two years, time flies! Thanks to all our frequent visitors, and everyone for all the support you have given to the site. I felt it would be a great time for a new look, so the site is proudly sporting new layouts, still featuring outtakes from the photoshoot session D.J. did for Da Man magazine last year. I hope you all like it as much as I do! 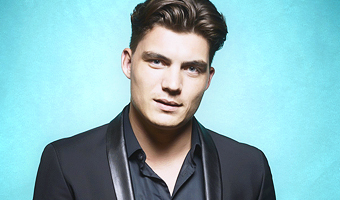 Also, today also marks the opening of our brother site, Zane Holtz Web! I have spent the past few months slowly working on it, and I thought it would be nice to open it on the same day as this site’s anniversary. I hope you’ll visit it as frequently as you visit this site. Lastly, make sure you visit our gallery, which underwent a major update. Majority of the event photos are now in high-quality! I have done the same with some portraits, and added new ones. I have also finally completed the Season 2 screencaps of FDTD, sorry for the delay on that. Check them all out, and thank you for taking the time to read all these.